Marcel Breuer was an architect and furniture designer and one of the most renowned architects in 20th century design. 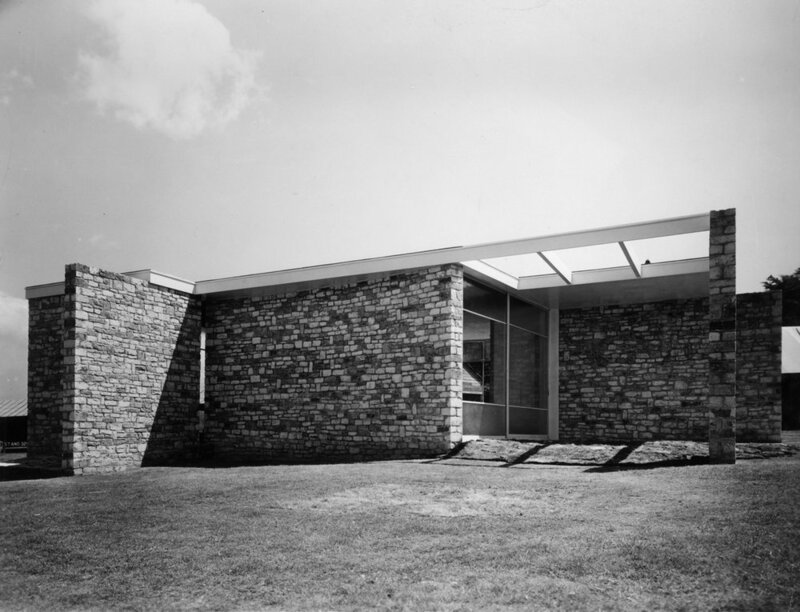 Gane Pavillion, also known as the Gane Show House, Bristol Pavillion, and Gane's Pavillion, was a temporary building designed by Marcel Breuer with F.R.S Yorke, located at Ashcourt Court, near Bristol. Crofton Gane, a proprietor of P.E Gane, a Bristol furniture manufacturing company, commisioned the building to act as a showroom to display his products at the 1936 Royal Show. The building itself was clad glass and local stone, single storey form with a flat roof. Breuer considered it one of his two favourite works, after the UNESCO Headquarters building is Paris.